Group feature has never been more interactive, and checking your students’ homework has never been easier! Since now, students from your groups can edit posts you publish. It means that whenever you post homework, the only thing they need to do is to edit your slides and answer the questions. That’s not the end: as a teacher you can edit all the slides your students submit in the group, they are assigned to. Whenever they upload homework or a checking test, you are able to mark their mistakes and grade their work. But don’t worry, it doesn’t mean that other students will see the correct answers. ShowMe also enables you to approve their posts! Isn’t that awesome? Now you have a full control of what is uploaded in the group. Check out the tutorials (posts’ approval, posts editing) to learn how to use these amazing features! If you have any questions or comments don’t hesitate to get in touch with us on Facebook and Twitter or drop us a line at support@showme.com. Classroom visits and filming the ShowMe story! 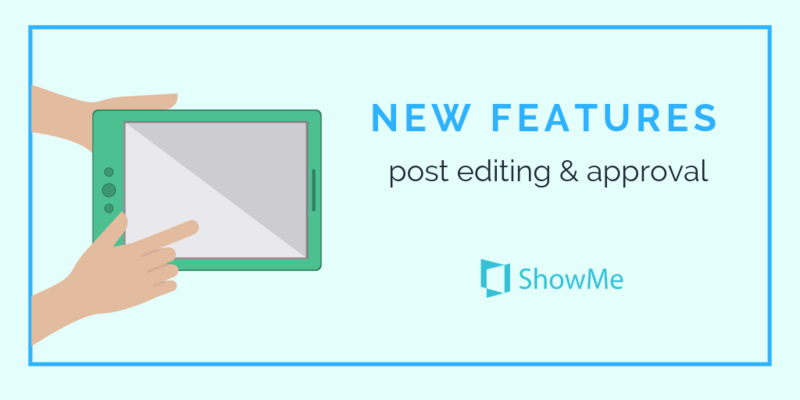 Building an ePortfolio: add a ShowMe to the mix!